Since Summer is here you’re probably eyeing the nice weather and planning your escape – but wait! Before you go running out the door with your clothes and laptop, consult our handy list to keep yourself safe and worry free. The nightmare of a lost or stolen laptop can be significantly reduced with some planning. Wireless Networks – There are enough trivial wireless attacks and fake wireless access points out there that when using ANY public wireless connection you should be cautious. If you have a good 4G connection from a hotel or resort, use your mobile hotspot instead of the public wireless to connect your devices. But this isn’t always practical, especially when traveling abroad. So if you have to use public Wi-Fi make sure you double check the SSID before connecting (specifically the grammar), and avoid unsecured free/open hotspots. Malicious hot spots will often be given extremely similar names to existing access points. If your organization or home router supports a VPN connection, using a VPN is always recommended. 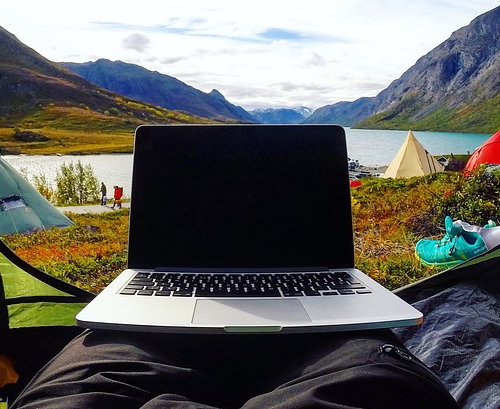 Backups – BACK YOUR LAPTOP UP! This can’t be emphasized enough, laptops are broken and stolen – a lot. 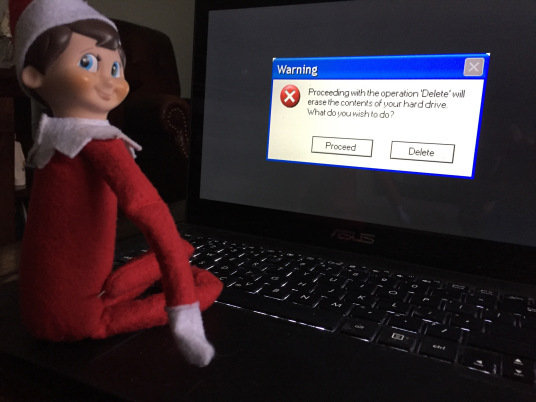 If you do anything at all important on the laptop, or it’s your primary machine make sure you have a good backup prior to leaving on vacation. And by backup, we don’t mean Dropbox or Google Drive. A ‘real’ entire-machine backup. Drive Encryption – Breaking or losing a laptop is bad, but having it stolen is even worse. You may have a password on your machine, but removing your hard drive and copying your data isn’t going to be stopped by that. Encrypting your data makes your laptop a lot less easier for a thief to resell. BitLocker drive encryption is free and built in to Windows 10, consult your IT department if you haven’t enabled it already. 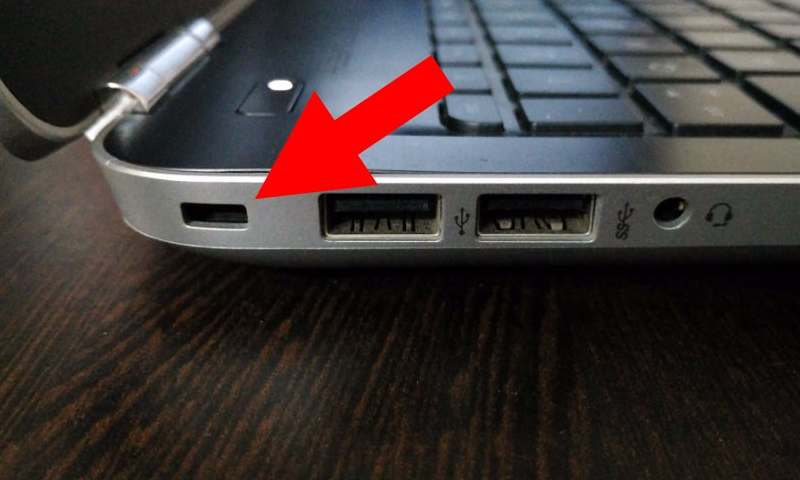 Physical Security – Often overlooked is the laptop security slot (See pic below), a simple slot on the side of most laptops for attaching a lock. If your hotel room/resort doesn’t provide a personal security safe, a laptop lock can attach your laptop to a bed or nightstand until you return. Check out Amazon for a variety of options for laptop locks.